Another MatchDay is upon us. Can we have the quickest match preview ever? Let’s try. After endless cranking, Mr Aigbogun looks to have kick-started the Enyimba engine and we are beginning to look somewhat close to a decent footballing side. Yes I know we looked at our frail looking defence on the blog yesterday but ultimately, it’s the three points that matter. 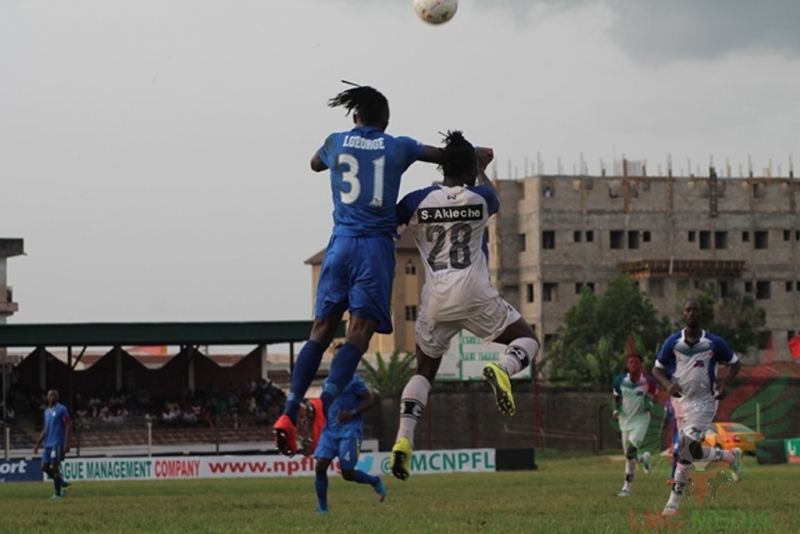 So lemme state it here that if by 6:30 pm the scores read MFM 4-5 Enyimba, I’ll gladly open-armedly accept the result. Is there even such a word, open-armedly. I’ll have to ask @TheOddSolace my English lecturer. OK now I digress. We seem to have found some rhythm and we are gunning for a third win on the road. Wins at Akwa United and Kano Pillars which no one, not even yours truly saw coming, should give the lads some spring in their footsteps as we go into this tie. The church boys have had a decent start to the season. They are every neutral’s favourite team and they play some of the best football in the country. Many will talk of the creative hub Chukwuka Onuwa who initiates the attacks and Ifeanyi Ifeanyi who sits just behind him in that midfield, you have a mobile, pacey team who know how to get the ball to its intended recipient. Their young coach, Fidelis Illechukwu is probably the most vibrant of all and when I spoke with him in Owerri earlier in the season, he said, all they have achieved this season has been a combination of hardwork and the grace of God. Two virtues I think every team needs in their quest for honours in football in these regions. We are up against a good ball playing side who enjoy their football especially at the Agege Stadium. It is hence necessary that tonight we recognize the sort of threat we are up against. They may respect us a team for all we have achieved and what we represent but when that whistle goes at 4pm, the only thing on their minds is how to add ‘Defeated Enyimba’ to their football CVs. We have to ensure that doesn’t happen. In terms of personnel, it will be interesting to see what Mr Aigbogun does with the Legion at his disposal. Thankfully Chima Akas will get a deserved break as we learnt he’s gone to the Under-23 camp. That should open the door for someone to step in. Aloma perhaps. The manager says some guys have been injured in camp, let’s hope there is at least one decent left back remaining for this function. Aloma has been posting pictures all over Facebook, you’d hope he’s fit enough to stand and run around for more than the duration of the game. The boys themselves have watched this MFM side play in Lagos enroute Tunisia I think, so they know what they are up against, let’s hope they put in the right effort beating them today would require. We could have live updates if any of our fans in Lagos turn up with updates but if not, we stick to the good fellas at the LMC. The preview wasn’t even that short after all.